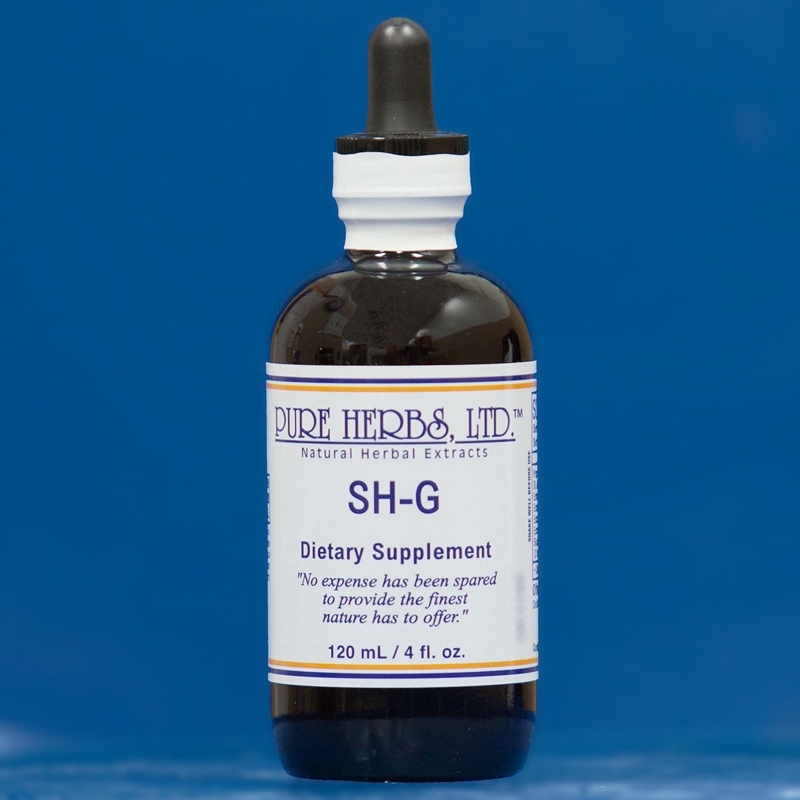 SH-G ADRENAL STRESS, SEIZURES & HEADACHES Formulated by master herbalist Geneva Gile who suffered a severe brain injury in a car accident. She had headaches, seizures, trouble walking, talking and thinking. Another of her side effects to brain trauma was depression. Also, crowds, lights and loud noises were a big problem for Geneva. The doctors had given up on her after two years. After putting this formula together the seizures stopped quickly. But, this was just the beginning of the healing for her.Clients of hers reported that when doing an intestinal cleanse it helped reduce stress and gave them energy.One client started taking S.H.-G as a potential help for chronic stress. She has a type A personality that goes from zero to GO in the blink of an eye. She stated, "That's just the way it is," and then states she couldn't have been more wrong. S.H.-G helped her dial the level down when the episodes come without sacrificing any motivation or clear headedness. It also helped manage her stress well and she could get things done. Scullcap. Gotu Kola - Corrects skin conditions, blood cleaner, high blood pressure, reduces brain fatigue, powerful on the nervous system, poison antidote. B. & N.C.-W Brain and nerve cocktail, cleans and nourishes the nervous system, repairs the pineal, pituitary, hypothalamus and adrenal glands. Turmeric Anti-inflammatory, digestive problems, liver problems, auto immune problems, rheumatoid arthritis, menstrual discomfort. * Recommended Dosage: 80 drops, three times per day with meals. For power house effect use with P.G.-G.